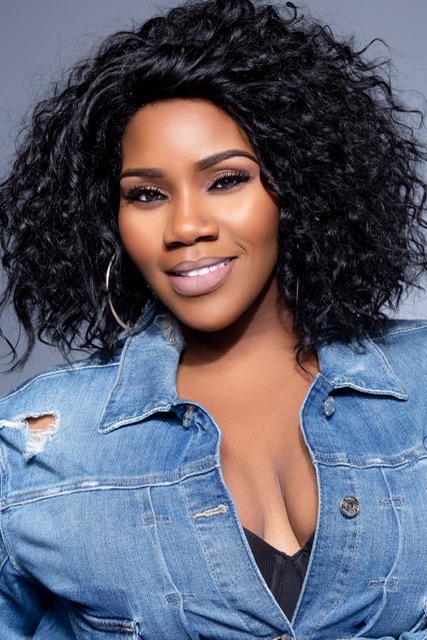 If you’ve ever had the pleasure of being in the company of the multi-talented Kelly Price, you’ll undoubtedly take away that she’s relatable and downright determined. Determined on living the best life God has entrusted her with, no matter the challenges she’s faced. We were grateful to speak with the musician, author, model and actress about her past life struggles, her intro into fame, plus the character Brianne Clark that she portrays on the new BET drama, American Soul. “I really felt like I could relate to her…” Price tells Tinseltown Mom. “…when I did the audition, I had limited scenes, but after getting the role and kind of digging into the scripts and really beginning to connect with her and, as Sinqua would say, ‘unpack her,’ I feel very connected to Brianne…,” she continues. American Soul, which debuted February 5th, 2019, is a television drama, created by Jonathan Prince and Devon Greggory that touches on the life of Don Cornelius, the TV show host and producer best known for creating the nationally syndicated dance show Soul Train. The ensemble cast includes Sinqua Walls, who plays Cornelius, Jason Dirden, Iantha Richardson, Christopher Jefferson, Katlyn Nichol, Jelani Winston, and Kelly Price. Those dark times allowed Price to become the person she is today, relentless, committed, purposeful. Some may assume that pursuing music was her outlet during those gloomy moments, but growing up in the church, with four generations of pastors, Price never saw herself having a career in the entertainment industry, despite the fact that she had a gifted voice. She was taught that music was for the church and nothing else. People would oftentimes ask her to assist with a song and she would help out where needed, never envisioning a career in entertainment, but she was clearly destined for more. “…I was actually doing demos for friends who were producers and trying to sell their music. And that was kind of the beginning of me being heard. I did it as a favor to them. They weren’t even paying me to do it. They just needed somebody to sing the songs, so they could try to sell them…” This led to many open doors for the budding musician, including singing live gigs in corporate settings, to being noticed by someone in Luther Vandross’ camp. “…that then turned into a gig for George Michael in January of 1992 when I was 18 years old.” That was her first professional gig. Truth be told, Kelly Price has a bigger story to tell. Maybe we’ll hear more when she’s sharing her life in the public-speaking forum, or perhaps one day we’ll get to read an autobiography, or perchance even see her life story in a movie of the week. For now, we’ll continue to enjoy her music and watch her blossoming career as an actress. Be sure to catch Price as Brianne Clark on American Soul on BET every Tuesday night at 9/8c. Wonderful article. Happy that Kelly didn’t give up, because I love her voice and music. Her first gospel CD got me through a lot of days.